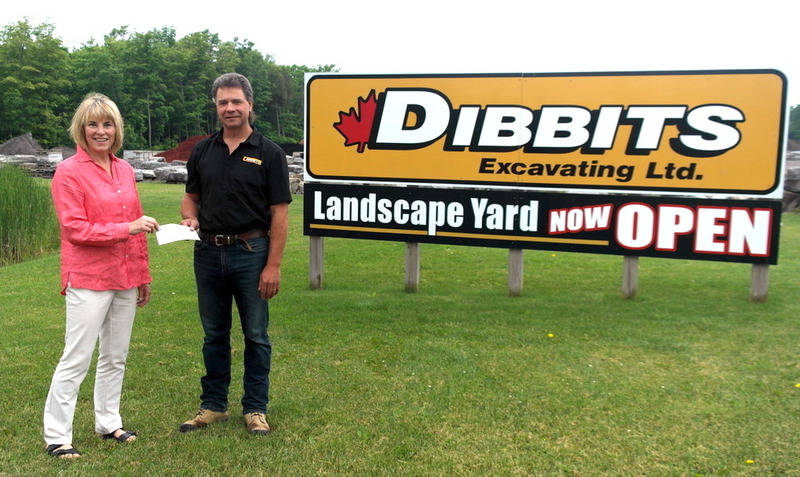 Dibbits Excavating has been a proud sponsor of the Garden Tour for the past four years. Joe Dibbits presents Karen Mouck with a cheque for $750. We couldn’t do it without this generous support. Thank you! This entry was posted in Community Involvement, Fundraising, Scholarships, Uncategorized.